The question of whether it is right to eat animal flesh is among the most prominent topics in food ethics. The most commonly given moral objection to meat-eating is that, for most people living in the developed world, it is not necessary for survival or health; some argue that slaughtering animals solely because people enjoy the taste of meat is wrong and morally unjustifiable. Ethical vegetarians and ethical vegans may also object to the practices underlying the production of meat, or cite their concerns about animal welfare, animal rights, environmental ethics, and religious reasons. In response, some proponents of meat-eating have adduced various scientific, nutritional, cultural, and religious arguments in support of the practice. Some meat-eaters only object to rearing animals in certain ways, such as in factory farms, or killing them with cruelty; others avoid only certain meats, such as veal or foie gras. Peter Singer—Princeton University and University of Melbourne professor and pioneer of the animal liberation movement—has long argued that, if it is possible to survive and be healthy without eating meat, fish, dairy, or eggs, one ought to choose that option instead of causing unnecessary harm to animals. In Animal Liberation, Singer argued that, because non-human animals feel, they should be treated according to utilitarian ethics. Singer's work has since been widely built upon by philosophers, both those who agree and those who do not, and it has been applied by animal rights advocates as well as by ethical vegetarians and vegans. Ethical vegetarians say that the reasons for not hurting or killing animals are similar to the reasons for not hurting or killing humans. They argue that killing an animal, like killing a human, can only be justified in extreme circumstances; consuming a living creature just for its taste, for convenience, or out of habit is not justifiable. Some ethicists have added that humans, unlike other animals, are morally conscious of their behavior and have a choice; this is why there are laws governing human behavior, and why it is subject to moral standards. Ethical vegetarian concerns have become more widespread in developed countries, particularly because of the spread of factory farming, more open and graphic documentation of what human meat-eating entails for the animal, and environmental consciousness. Some proponents of meat-eating argue that the current mass demand for meat has to be satisfied with a mass-production system, regardless of the welfare of animals. Less radical proponents argue that practices like well-managed free-range rearing and the consumption of hunted animals, particularly from species whose natural predators have been significantly eliminated, could satisfy the demand for mass-produced meat. Reducing the worldwide massive food waste would also contribute to reduce meat waste and therefore save animals. Indeed, according to the Food and Agriculture Organization of the United Nations, about a third of the food for human consumption is wasted globally (around 1.3 billion tons per year). Some have described unequal treatment of humans and animals as a form of speciesism such as anthropocentrism or human-centeredness. Val Plumwood (1993, 1996) has argued that anthropocentrism plays a role in green theory that is analogous to androcentrism in feminist theory and ethnocentrism in anti-racist theory. Plumwood calls human-centredness "anthropocentrism" to emphasize this parallel. By analogy with racism and sexism, Melanie Joy has dubbed meat-eating "carnism". The animal rights movement seeks an end to the rigid moral and legal distinction drawn between human and non-human animals, an end to the status of animals as property, and an end to their use in the research, food, clothing, and entertainment industries. Peter Singer, in his ethical philosophy of what it is to be a "person", argues that livestock animals feel enough to deserve better treatment than they receive. Many thinkers have questioned the morality not only of the double standard underlying speciesism but also the double standard underlying the fact that people support treatment of cows, pigs, and chickens that they would never allow with pet dogs, cats, or birds. Jay Bost, agroecologist and winner of The New York Times' essay contest on the ethics of eating meat, summarized his argument in the following way: "eating meat raised in specific circumstances is ethical; eating meat raised in other circumstances is unethical" in regard to environmental usage. He proposes that if "ethical is defined as living in the most ecologically benign way, then in fairly specific circumstances, of which each eater must educate himself, eating meat is ethical." The specific circumstances he mentions include using animals to cycle nutrients and convert sun to food. Ethicists like Tom Regan and Peter Singer define "ethical" in terms of suffering rather than ecology. Mark Rowlands argues that the real determinant of whether it is ethical to cause suffering is whether there is any vital need to cause it; if not, then causing it is unethical. Shorthorn heifers, a typical multipurpose breed of cattle. Ethologist Jane Goodall stated in the 2009 book The Inner World of Farm Animals that "farm animals feel pleasure and sadness, excitement and resentment, depression, fear and pain. They are much more sensitive and intelligent than we ever imagined." In 2012, a group of well known neuroscientists stated in the "Cambridge Declaration on Consciousness in Non-Human Animals" that all mammals and birds (such as farm animals), and other animals, possess the neurological substrates that generate consciousness and are able to experience affective states. Eugene Linden, author of The Parrot's Lament, suggests that many examples of animal behavior and intelligence seem to indicate both emotion and a level of consciousness that we would normally ascribe only to our own species. Consciousness requires a certain kind of informational organization that does not seem to be "hard-wired" in humans, but is instilled by human culture. Moreover, consciousness is not a black-or-white, all-or-nothing type of phenomenon, as is often assumed. The differences between humans and other species are so great that speculations about animal consciousness seem ungrounded. Many authors simply assume that an animal like a bat has a point of view, but there seems to be little interest in exploring the details involved. Philosophers Peter Singer (Princeton), Jeff McMahan (Oxford) and others also counter that the issue is not one of consciousness, but of sentience. A related argument revolves around non-human organisms' ability to feel pain. If animals could be shown to suffer, as humans do, then many of the arguments against human suffering could be extended to animals. One such reaction is transmarginal inhibition, a phenomenon observed in humans and some animals akin to mental breakdown. People have assumed that intelligence is linked to the ability to suffer and that because animals have smaller brains they suffer less than humans. That is a pathetic piece of logic, sentient animals have the capacity to experience pleasure and are motivated to seek it, you only have to watch how cows and lambs both seek and enjoy pleasure when they lie with their heads raised to the sun on a perfect English summer's day. Just like humans. When people choose to do things about which they are ambivalent and which they would have difficulty justifying, they experience a state of cognitive dissonance, which can lead to rationalization, denial, or even self-deception. For example, a 2011 experiment found that, when the harm that their meat-eating causes animals is explicitly brought to people's attention, they tend to rate those animals as possessing fewer mental capacities compared to when the harm is not brought to their attention. This is especially evident when people expect to eat meat in the near future. Such denial makes it less uncomfortable for people to eat animals. The data suggest that people who consume meat go to great lengths to try to resolve these moral inconsistencies between their beliefs and behaviour by adjusting their beliefs about what animals are capable of feeling. This perception can lead to paradoxical conclusions about the ethics and comfort involved in preferring certain types of meat over others. For example, venison or meat from a wild deer generally has a much higher nutritional quality and a much lower carbon footprint than meat from domestically-raised animals. In addition, it can be virtually assured that the deer was never bred or raised in unnatural conditions, confined to a cage, fed an unnatural diet of grain, or injected with any artificial hormones. However, since the necessary act of killing a deer to procure the venison is generally much more apparent to anyone who encounters this sort of meat, some people can be even more uncomfortable with eating this than meat from animals raised on factory farms. Many ethical vegetarians and ethical meat-eaters argue that it is behaviour rather than supporting beliefs that should be adjusted. Some people choose to be vegetarian or vegan for environmental reasons. According to a 2006 report by LEAD Livestock's Long Shadow, "the livestock sector emerges as one of the top two or three most significant contributors to the most serious environmental problems, at every scale from local to global." The livestock sector is probably the largest source of water pollution (due to animal wastes, fertilizers, and pesticides), contributing to eutrophication, human health problems, and the emergence of antibiotic resistance. It accounts also for over 8% of global human water use. Livestock production is by far the biggest cause of land use, as it accounts for 40% of the global land surface. It is probably the leading player in biodiversity loss, as it causes deforestation, land degradation, pollution, climate change, and overfishing. A 2017 study by the World Wildlife Fund found that 60% of biodiversity loss can be attributed to the vast scale of feed crop cultivation needed to rear tens of billions of farm animals. Livestock is also responsible for at least 20% of the world's greenhouse gas emissions, which are the main cause of the current climate change. This is due to feed production, enteric fermentation from ruminants, manure storage and processing, and transportation of animal products. The greenhouse gas emissions from livestock production greatly exceeds the greenhouse gas emissions of any other human activity. Some authors argue that by far the best thing we can do to slow climate change is a global shift towards a vegetarian or vegan diet. A 2017 study published in the journal Carbon Balance and Management found animal agriculture's global methane emissions are 11% higher than previously estimated. In November 2017, 15,364 world scientists signed a warning to humanity calling for, among other things, "promoting dietary shifts towards mostly plant-based foods." A 2019 report in The Lancet recommended that global meat consumption be reduced by 50 percent to mitigate climate change. Animals that feed on grain or rely on grazing require more water than grain crops. Producing 1 kg of meat requires up to 15,000 liters of water. According to the United States Department of Agriculture (USDA), growing crops for farm animals requires nearly half of the US water supply and 80% of its agricultural land. Animals raised for food in the US consume 90% of the soy crop, 80% of the corn crop, and 70% of its grain. However, where an extensive farming system (as opposed to a feedlot) is used, some water and nutrients are returned to the soil to provide a benefit to the pasture. This cycling and processing of water and nutrients is less prevalent in most plant production systems, so may bring the efficiency rate of animal production closer to the efficiency of plant based agricultural systems. In tracking food animal production from the feed through to the dinner table, the inefficiencies of meat, milk, and egg production range from a 4:1 energy input to protein output ratio up to 54:1. The result is that producing animal-based food is typically much less efficient than the harvesting of grains, vegetables, legumes, seeds, and fruits. There are also environmentalist arguments in favor of the morality of eating meat. One such line of argument holds that sentience and individual welfare are less important to morality than the greater ecological good. Following environmentalist Aldo Leopold's principle that the sole criterion for morality is preserving the "integrity, stability and beauty of the biotic community", this position asserts that sustainable hunting and animal agriculture are environmentally healthy and therefore good. Hinduism holds vegetarianism as an ideal for three reasons: the principle of nonviolence (ahimsa) applied to animals; the intention to offer only "pure" (vegetarian) or sattvic food to a deity and then to receive it back as prasad; and the conviction that an insentient diet is beneficial for a healthy body and mind and that non-vegetarian food is detrimental for the mind and for spiritual development. Buddhist vegetarianism has similar strictures against hurting animals. The actual practices of Hindus and Buddhists vary according to their community and according to regional traditions. Jains are especially rigorous about not harming sentient organisms. Islamic Law and Judaism have dietary guidelines called Halal and Kashrut, respectively. In Judaism, meat that may be consumed according to halakha (Jewish law) is termed kosher; meat that is not compliant with Jewish law is called treif. Causing unnecessary pain to animals is prohibited by the principle of tza'ar ba'alei chayim. While it is neither required nor prohibited for Jews to eat meat, a number of medieval scholars of Judaism, such as Joseph Albo and Isaac Arama, regard vegetarianism as a moral ideal. In Christianity as practised by members of Eastern Orthodox Church, Roman Catholic Church, Greek Catholic Church, and others, it is prohibited to eat meat in times of fasting. Rules of fasting also vary. There are also Christian monastic orders that practice vegetarianism. It has been argued that a moral community requires all participants to be able to make moral decisions, but animals are incapable of making moral choices (e.g., a tiger would not refrain from eating a human because it was morally wrong; it would decide whether to attack based on its survival needs, as dictated by hunger). Thus, some opponents of ethical vegetarianism argue that the analogy between killing animals and killing people is misleading. For example, Hsiao (2015) compares the moral severity of harming animals to that of picking a flower or introducing malware into a computer. Others have argued that humans are capable of culture, innovation, and the sublimation of instinct in order to act in an ethical manner while animals are not, and so are unequal to humans on a moral level. This does not excuse cruelty, but it implies animals are not morally equivalent to humans and do not possess the rights a human has. The precise definition of a moral community is not simple, but Hsiao defines membership by the ability to know one's own good and that of other members, and to be able to grasp this in the abstract. He claims that non-human animals do not meet this standard. ...in my first voyage from Boston...our people set about catching cod, and hauled up a great many. Hitherto I had stuck to my resolution of not eating animal food... But I had formerly been a great lover of fish, and, when this came hot out of the frying-pan, it smelt admirably well. I balanc'd some time between principle and inclination, till I recollected that, when the fish were opened, I saw smaller fish taken out of their stomachs; then thought I, "If you eat one another, I don't see why we mayn't eat you." So I din'd upon cod very heartily, and continued to eat with other people, returning only now and then occasionally to a vegetable diet. So convenient a thing it is to be a reasonable creature, since it enables one to find or make a reason for everything one has a mind to do. One study found that approximately 60% of contemporary professional ethicists consider it "morally bad" to eat meat from mammals. Writing in Current Affairs, Nathan J. Robinson describes the billions of non-human animals that suffer and die at the hands of human beings for consumption as a "holocaust" and, citing Jeremy Bentham's formulation "The question is not, Can they reason? nor, Can they talk? but, Can they suffer?" contends that it is "morally reprehensible" and "deeply wrong". They're in state-of-the-art confinement facilities. The conditions that we keep these animals in are much more humane than when they were out in the field. Today they're in housing that is environmentally controlled in many respects. And the feed is right there for them all the time, and water, fresh water. They're looked after in some of the best conditions, because the healthier and [more] content that animal, the better it grows. So we're very interested in their well-being up to an extent. In response, animal welfare advocates ask for evidence that any factory-bred animal is better off caged than free. Farm Sanctuary argue that commodifying and slaughtering animals is incompatible with the definition of "humane". Animal ethicists such as Gary Francione have argued that reducing animal suffering is not enough; it needs to be made illegal and abolished. Biologically, oysters are not in the plant kingdom, but when it comes to ethical eating, they are almost indistinguishable from plants. Oyster farms account for 95 percent of all oyster consumption and have a minimal negative impact on their ecosystems; there are even nonprofit projects devoted to cultivating oysters as a way to improve water quality. Since so many oysters are farmed, there's little danger of overfishing. No forests are cleared for oysters, no fertilizer is needed, and no grain goes to waste to feed them—they have a diet of plankton, which is about as close to the bottom of the food chain as you can get. Oyster cultivation also avoids many of the negative side effects of plant agriculture: There are no bees needed to pollinate oysters, no pesticides required to kill off other insects, and for the most part, oyster farms operate without the collateral damage of accidentally killing other animals during harvesting. Cox went on to suggest that oysters would be acceptable to eat, even by strict ethical criteria, if they did not feel: "while you could give them the benefit of the doubt, you could also say that unless some new evidence of a capacity for pain emerges, the doubt is so slight that there is no good reason for avoiding eating sustainably produced oysters." Cox has added that, although he believes in some of the ethical reasons for vegetarianism, he is not strictly a vegan or even a vegetarian because he consumes oysters. Montaigne is ecumenical in this respect, claiming consciousness for spiders and ants, and even writing of our duties to trees and plants. Singer and Clarke agree in denying consciousness to sponges. Singer locates the distinction somewhere between the shrimp and the oyster. He, with rather considerable convenience for one who is thundering hard accusations at others, slides by the case of insects and spiders and bacteria, they pace Montaigne, apparently and rather conveniently do not feel pain. The intrepid Midgley, on the other hand, seems willing to speculate about the subjective experience of tapeworms ...Nagel ... appears to draw the line at flounders and wasps, though more recently he speaks of the inner life of cockroaches. When a plant is wounded, its body immediately kicks into protection mode. It releases a bouquet of volatile chemicals, which in some cases have been shown to induce neighboring plants to pre-emptively step up their own chemical defenses and in other cases to lure in predators of the beasts that may be causing the damage to the plants. Inside the plant, repair systems are engaged and defenses are mounted, the molecular details of which scientists are still working out, but which involve signaling molecules coursing through the body to rally the cellular troops, even the enlisting of the genome itself, which begins churning out defense-related proteins ... If you think about it, though, why would we expect any organism to lie down and die for our dinner? Organisms have evolved to do everything in their power to avoid being extinguished. How long would any lineage be likely to last if its members effectively didn't care if you killed them? Steven Davis, a professor of animal science at Oregon State University, argues that the least harm principle does not require giving up all meat. Davis states that a diet containing beef from grass-fed ruminants such as cattle would kill fewer animals than a vegetarian diet, particularly when one takes into account animals killed by agriculture. This conclusion has been criticized by Jason Gaverick Matheny (founder of in vitro meat organization New Harvest) because it calculates the number of animals killed per acre (instead of per consumer). Matheny says that, when the numbers are adjusted, Davis' argument shows veganism as perpetrating the least harm. 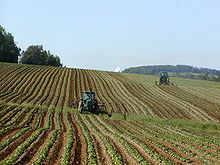 Davis' argument has also been criticized by Andy Lamey for being based on only two studies that may not represent commercial agricultural practices. When differentiating between animals killed by farm machinery and those killed by other animals, he says that the studies again show veganism to do the "least harm". One of the main differences between a vegan and a typical vegetarian diet is the avoidance of both eggs and dairy products such as milk, cheese, butter, and yogurt. Ethical vegans do not consume dairy or eggs because they believe their production causes animal suffering or premature death. To produce milk from dairy cattle, most calves are separated from their mothers soon after birth and fed milk replacement in order to retain the cows' milk for human consumption. Animal welfare advocates point out that this breaks the natural bond between the mother and her calf. Unwanted male calves are either slaughtered at birth or sent for veal production. To prolong lactation, dairy cows are almost permanently kept pregnant through artificial insemination. Although cows' natural life expectancy is about twenty years, after about five years the cows' milk production has dropped; they are then considered "spent" and are sent to slaughter for meat and leather. Battery cages are the predominant form of housing for laying hens worldwide; these cages reduce aggression and cannibalism among hens, but are barren, restrict movement, and increase rates of osteoporosis. In these systems and in free-range egg production, unwanted male chicks are culled and killed at birth during the process of securing a further generation of egg-laying hens. It is estimated that an average consumer of eggs who eats 200 eggs per year for 70 years of his or her life is responsible for the deaths of 140 birds, and that an average consumer of milk who drinks 190 kg per year for 70 years is responsible for the deaths of 2.5 cows. ^ Sandler, Ronald L. (2014). Food Ethics: The Basics. London: Taylor & Francis. p. 142. ISBN 978-1-135-04547-0. Retrieved 11 February 2018. ^ American Dietetic Association (2009). "Position Paper of the American Dietatic Association: Vegetarian Diets" (PDF). Journal of the American Dietetic Association. 109 (7): 1266–1282. doi:10.1016/j.jada.2009.05.027. PMID 19562864. ^ Desaulniers, Élise (30 May 2013). "I Am Ashamed to Have Been a Vegetarian for 50 Years". HuffPost Living. TheHuffingtonPost.com, Inc. Retrieved 19 May 2014. ^ "The Animal Kill Counter << ADAPTT :: Animals Deserve Absolute Protection Today and Tomorrow". adaptt.org. 24 December 2013. Retrieved 2014-05-19. ^ Scruton, Roger (2006). Animal Rights and Wrongs. New York: Continuum. ISBN 9781441199157. ^ Donaldson, Sue; Kymlicka, Will (2011). Zoopolis: A Political Theory of Animal Rights. Oxford: Oxford University Press. ISBN 978-0199599660. OCLC 713621604. ^ Benatar, David (February 2001). "Why the Naive Argument against Moral Vegetarianism Really is Naive". Environmental Values. 10 (1): 103–112. doi:10.3197/096327101129340769. ^ Pluhar, E. B. (2010). "Meat and morality: Alternatives to factory farming" (PDF). Journal of Agricultural and Environmental Ethics. 23 (5): 455–468. doi:10.1007/s10806-009-9226-x. Archived from the original (PDF) on 6 January 2014. ^ Hoffman, Beth (16 September 2013). "Food Waste: Key To Ending World Hunger". Forbes. ^ "Food Loss and Food Waste". FAO. 2015. Retrieved 6 July 2015. ^ "Manifesto for the Evolution of Animals' Legal Status in the Civil Code of Quebec". animalsarenotobjects.ca. Archived from the original on 21 June 2014. Retrieved 27 March 2018. ^ Chazan, David (16 April 2014). "Pets No Longer Just Part of Furniture in France". The Telegraph. ^ Bost, Jay (3 May 2012). "Give Thanks for Meat". New York Times. Retrieved 7 April 2013. ^ Goodall J (April 2009), The Inner World of Farm Animals. Stewart, Tabori and Chang. ^ Halberstadt, Alex (3 July 2014). "Zoo Animals and their Discontents". New York Times Magazine. ^ Low P, Panksepp J, Reiss D, Edelman D, Van Swinderen B, Koch C (July 2012). "The Cambridge Declaration on Consciousness". ^ Dennett, Daniel C (1995). "Animal consciousness: what matters and why". Social Research. 62 (3). ^ Carter, Alan (2005). "Animals, Pain and Morality". Journal of Applied Philosophy. 22 (1): 17–22. doi:10.1111/j.1468-5930.2005.00289.x. PMID 15948329. ^ "The secret life of moody cows", John Webster. ^ Bastian, Brock; Loughnan, Steve; Haslam, Nick; Radke, Helena R. M. (2012). "Don't Mind Meat? The Denial of Mind to Animals Used for Human Consumption" (PDF). Personality and Social Psychology Bulletin. 38 (2): 247–256. doi:10.1177/0146167211424291. PMID 21980158. Retrieved 2014-05-19. ^ Sutter, John D. (12 December 2016). "How to stop the sixth mass extinction". CNN. Retrieved 3 January 2018. ^ Morell, Virginia (11 August 2015). "Meat-eaters may speed worldwide species extinction, study warns". Science. Retrieved 3 January 2018. ^ Machovina, B.; Feeley, K. J.; Ripple, W. J. (2015). "Biodiversity conservation: The key is reducing meat consumption". Science of the Total Environment. 536: 419–431. doi:10.1016/j.scitotenv.2015.07.022. PMID 26231772. ^ Smithers, Rebecca (5 October 2017). "Vast animal-feed crops to satisfy our meat needs are destroying planet". The Guardian. Retrieved 3 January 2018. ^ Wolf, Julie; Asrar, Ghassem R.; West, Tristram O. (29 September 2017). "Revised methane emissions factors and spatially distributed annual carbon fluxes for global livestock". Carbon Balance and Management. 12 (16): 16. doi:10.1186/s13021-017-0084-y. PMC 5620025. PMID 28959823. ^ Ripple WJ, Wolf C, Newsome TM, Galetti M, Alamgir M, Crist E, Mahmoud MI, Laurance WF (13 November 2017). "World Scientists' Warning to Humanity: A Second Notice". BioScience. 67 (12): 1026–1028. doi:10.1093/biosci/bix125. ^ Gibbens, Sarah (January 16, 2019). "Eating meat has 'dire' consequences for the planet, says report". National Geographic. Retrieved January 19, 2019. ^ Kirby, Alex (16 August 2004). "Hungry world 'must eat less meat'". BBC News. Retrieved 2014-05-19. ^ "United Nations world water development report. Facts and figures. Managing Water under Uncertainty and Risk". UNESCO. Retrieved 8 November 2014 from http://unesdoc.unesco.org/images/0021/002154/215492e.pdf. ^ "USDA ERS - Major Uses of Land in the United States, 1997". United States Department of Agriculture Economic Research Service. Archived from the original on 6 May 2014. Retrieved 2014-05-19. ^ "U.S. could feed 800 million people with grain that livestock eat". Cornell Chronicle. Cornell University. 7 August 1997. Retrieved 2014-05-19. ^ Callicott, J. Baird (1980). "Animal Liberation: A Triangular Affair" (PDF). Environmental Ethics. 2 (4): 311–338. doi:10.5840/enviroethics19802424. Retrieved 6 July 2015. ^ Bost, Jay (3 May 2012). "The Ethicist Contest Winner: Give Thanks for Meat". The New York Times (editorial). ^ a b c Hsiao, Timothy (2015). "In Defense of Eating Meat". Journal of Agricultural and Environmental Ethics. 28 (2): 277–291. doi:10.1007/s10806-015-9534-2. ^ "Animals and Ethics". Internet Encyclopedia of Philosophy. University of Tennessee. 2 August 2013. Retrieved 2014-05-19. ^ "The Autobiography of Benjamin Franklin - Chapter 4". Earlyamerica.com. 27 February 2007. Retrieved 2011-03-27. ^ Joshua Rust; Eric Schwitzgebel (2014). "The Moral Behavior of Ethicists and the Power of Reason" (PDF). In Hagop Sarkissian, Jennifer Cole Wright. Advances in Experimental Moral Psychology. Bloomsbury Publishing. pp. 96–97. ISBN 978-1-4725-1304-5. ^ Robinson, Nathan J. (17 January 2018). "Meat and the H-Word". Current Affairs. Retrieved 18 January 2018. ^ Scully, Matthew. Dominion, St. Martin's Griffin, 2002, pp. 255–256. ^ Matheny, G., & Leahy, C. (2007). Farm-animal welfare, legislation, and trade. Law and contemporary problems, 325-358. ^ Leiber, Justin (1988). "Cartesian Linguistics?". Philosophia. 118 (4): 309–46. doi:10.1007/BF02380646. ^ Natalie Angier (21 December 2009). "Sorry, Vegans: Brussels Sprouts Like to Live, Too". New York Times. Retrieved 20 February 2017. ^ "Should we all be vegetarians?". Time. 2 July 2002. Retrieved 14 June 2010. ^ Matheny, G (2003). "Least Harm: A Defense of Vegetarianism from Steven Davis's Omnivorous Proposal". Journal of Agricultural and Environmental Ethics. 16 (5): 505–511. doi:10.1023/A:1026354906892. ^ Lamey, Andy (2007). "Food Fight! Davis versus Regan on the Ethics of Eating Beef". Journal of Social Philosophy. 38 (2): 331–348. doi:10.1111/j.1467-9833.2007.00382.x. SSRN 1253172. ^ a b Erik Marcus (2000). Vegan: The New Ethics of Eating. ISBN 9781590133446. ^ a b c d Vegetarian Society. "Dairy Cows & Welfare". ^ Desaulniers, Élise (2013). Vache à lait : dix mythes de l'industrie laitière (in French). Editions Stanké, Québec. Archived from the original on 21 September 2013. Retrieved 19 May 2014. ^ Horne, P.L.M. Van; Achterbosch, T.J. (2008). "Animal welfare in poultry production systems: impact of EU standards on world trade". World's Poultry Science Journal. 64 (1): 40–52. doi:10.1017/s0043933907001705. ^ Leenstra, F.; Napel, J. Ten; Visscher, J.; Sambeek, F. Van (2016). "Layer breeding programmes in changing production environments: a historic perspective". World's Poultry Science Journal. 72 (1): 21–36. doi:10.1017/s0043933915002743. ^ Meseret, S. (2016). "A review of poultry welfare in conventional production system". Livestock Research for Rural Development. 28 (12). ^ Vegetarian Society. "Egg Production & Welfare". Archived from the original on 16 March 2018. Retrieved 18 October 2012. ^ Saja, Krzysztof (11 October 2012). "The moral footprint of animal products". Agriculture and Human Values. 30 (2): 193–202. doi:10.1007/s10460-012-9402-x. ISSN 0889-048X. A Dissertation on the Voluntary Eating of Blood: An 18th-century justification of the eating of meat. Rare WZ 260 D626 1745. Digitized copy hosted by the UCLA Digital Library.